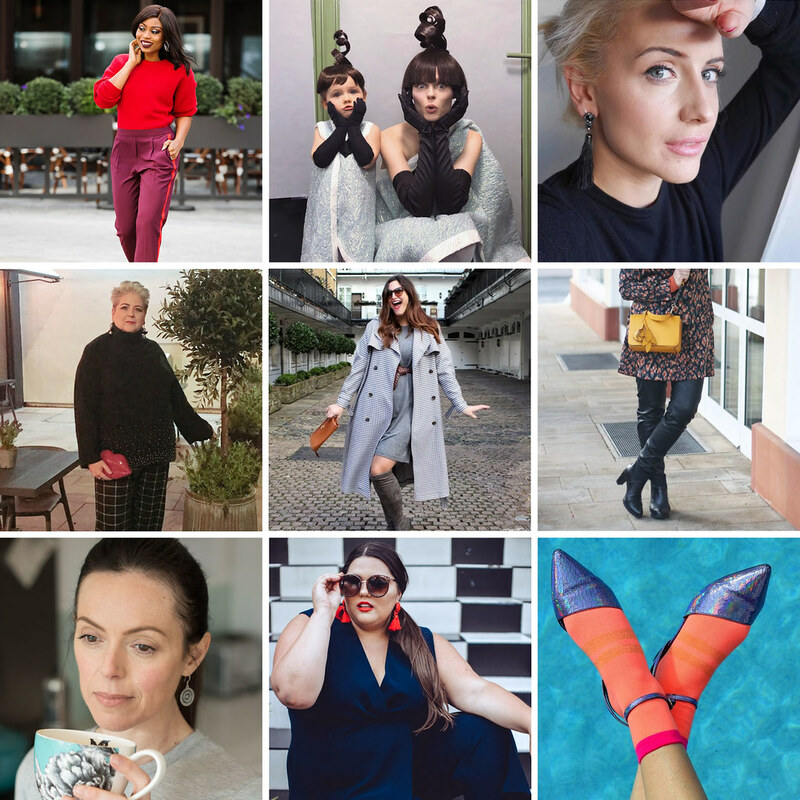 In my Best of the Blogosphere this month I have a gorgeous 50 plus woman in leather trousers, an upbeat attitude to Instagram, a clean makeup tutorial, #GirlBoss worries and more! February has actually been an AMAZING month for things I’ve read and seen… I found it hard to keep my choices down to just this many. WHAT LINKS DID YOU LIKE – AND HAVE YOU FOUND ANY FABULOUS NEW BLOGS TO FOLLOW? COMMENT BELOW! The most stylish, modern downstairs toilet makeover ever. Coco Rocha backstage at the Jean Paul Gaultier show with her mini-me daughter is beyond cute. Sharon talks about what it’s like being a woman in her fifties with a very positive attitude. Forget the Instagram “no makeup makeup look” that uses about 73 products – Michelle’s simple, clean makeup look is really about doing the absolute minimum to your skin to make you look just wonderfully healthy. I have the same side stripe trousers that Stella is wearing and I love them with her bright red sweater and heels. Callie thinks that maybe she’s a #GirlFlop (she couldn’t be less like one if she tried) – but she explains how it’s perfectly okay not to feel like a #GirlBoss. 50 ways to practice self-care (I really should do #12 more). Yet more solid proof that women over 50 CAN wear leather trousers. As someone who’s growing out her fringe (bangs), I know the pros and cons of a fringe only too well – but Susie’s really emphasises her stunning cheekbones and eyes. Ashley demonstrates one fashion trend that she will NOT be embracing in 2018 – but oh, how she looks good in it (and I’m envious). Lisa has talked openly and honestly about her “so-called” perimenopause and talks about her strange, never-before-experienced brain fog. A complete guide to what boots to wear with what jeans (and how to roll – or not roll! – them). I love the embroidery trend and Liz shows her favourite embroidery pieces from the high street. Forget the tactics: If you’d like a new, positive perspective on how to get the most out of Instagram then you have to read Emily’s upbeat, let’s-enjoy-Instagram-again approach. Helen wrote a very poignant post about how it’s good to talk about mental illness, and how selfies can mask what’s really going on in someone’s head. 10 tips for giving up junk food and eating a healthier diet that aren’t preachy and are doable. LIKE THIS POST? YOU MIGHT ALSO WANT TO READ JANUARY’S BEST OF THE BLOGOSPHERE! I love these posts Catherine… almost as much as outfits! Thank you for sharing some great reads. There are some great posts here, Catherine! I particularly love Sharon’s and Ashley’s posts! It’s quite timely, isn’t it Karen – not that I planned it! We’ve now got the snow but it’s only light at the moment… it’s set to be beastly this afternoon apparently. Stay warm and safe and enjoy the reads!! A little Coco Rocha trivia. She used to be an Irish Dancer. My daughter, now a retired championship Irish Dancer and her friends loved the fact that this gorgeous model jigged her way down the runway a few years back. I’m hoping her daughter will be enrolled in an Irish Dance school!!! Oh gosh I didn’t know that Cathe!! I can just imagine her doing Irish dancing…! Well, *I* won’t be getting anything accomplished today now!! !